Prof. Trochim received his Ph.D. from the Department of Psychology at Northwestern University in the area of Methodology and Evaluation Research. His research is focused on applied social research methodology, with an emphasis on program planning and evaluation methods. He has developed a number of methodologies that are widely used in the behavioral, social and medical sciences. Prof. Trochim has taught evaluation and research methods at both the undergraduate and graduate levels at Cornell since 1980 and has mentored over fifty Ph.D. students in evaluation. 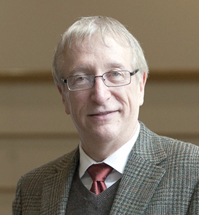 He has written a number of books, including several widely used introductory research methods texts, and articles that have appeared in the American Journal of Evaluation, New Directions for Program Evaluation, Evaluation and Program Planning, Evaluation Review, the American Journal of Public Health, Journal of Clinical Epidemiology, Consulting and Clinical Psychology, Controlled Clinical Trials, Clinical and Translational Science, Science Translational Medicine, Performance Improvement, and Medical Decision Making, among others. Prof. Trochim is the developer of the concept mapping methodology and software that has been used for a variety of conceptualization purposes in hundreds of contexts and settings. Prof. Trochim is one of the leaders in the emerging area of evaluating large research center grant initiatives, especially within the National Institutes of Health (NIH) and National Science Foundation (NSF) research systems. He was a core member of a special National Cancer Institute (NCI) effort on systems thinking and modeling called the Initiative on the Study and Implementation of Systems (ISIS) project, is co-author of a monograph on this project, and is lead author of an article on challenges of systems thinking and modeling in public health in a special issue of the American Journal of Public Health. Through his National Science Foundation (NSF) sponsored research, Prof. Trochim has developed the Systems Evaluation Protocol and implemented it in hundreds of education and outreach programs, including many NSF-funded Science, Technology, Engineering and Mathematics (STEM) programs. Prof. Trochim is the Director of Evaluation for Weill Cornell Medicine's Clinical and Translational Science Center -- a collaboration of Weill Cornell Medicine, Memorial Sloan Kettering Cancer Center, the Hospital for Special Surgery, Hunter College and Cornell Cooperative Extension -- and participates actively in the NIH Clinical and Translational Science Awards national evaluation. He helped develop evaluation systems for the HIV/AIDS Clinical Trials Networks of the Division of AIDS (DAIDS) of the National Institute of Allergies and Infectious Diseases (NIAID). He is actively engaged in NSF-sponsored research, including a major project collaborating with Yale University on the evaluation of the National Academies Scientific Teaching Alliance's Summer Institute for Undergraduate Education in Biology. Prof. Trochim was President of the American Evaluation Association (AEA), the leading professional organization in the field of evaluation, and served several terms on the AEA Board of Directors. Prof. Trochim's research is concentrated in the general area of evaluation and research methodology. His research is broadly on the development and assessment of new evaluation and research methodologies and their use in managing and enhancing social policies and programs. He primarily tests new methods in several subject areas including in STEM (science, technology, engineering and mathematics) education and in in the study of large-scale scientific and biomedical research. Dr. Trochim developed several important quasi-experimental alternatives to randomized experimental designs, including the regression discontinuity and regression point displacement designs. He created a structured conceptual modeling approach that integrates participatory group process with multivariate statistical methods and enables collaborative groups to generate concept maps and models useful for theory development, planning and evaluation. He has published widely in the areas of applied research methods and evaluation including the books: Research Design for Program Evaluation: The Regression-Discontinuity Approach (1984), Concept Mapping for Planning and Evaluation (2005), Research Methods: The Concise Knowledge Base (2005), and the Research Methods Knowledge Base (2007), and Research Methods: The Essential Knowledge Base (2016). Dr. Trochim is currently conducting research with the National Institutes of Health on the evaluation of biomedical clinical and translational research and with the National Science Foundation on evaluating science, technology, engineering and mathematics (STEM) education programs. Trevino, K. M., B. Canin, C. Healy, S. Moran, W. M. Trochim, P. Martin, K. Pillemer, J. A. Sirey and M. C. Reid (2018). "Bridging the Gap Between Aging Research and Practice: A New Strategy for Enhancing the Consensus Workshop Model." Journal of Applied Gerontology: DOI: 10.1177/0733464818791433. Urban, J. and Trochim, W. (2017). Advancing evaluation of character building programs, Journal of Character Education. Wutzke, S., Roberts, N., Willis, C., Best, A. Wilson, A. and Trochim, W. (2017). Setting strategy for system change: using concept mapping to prioritise national action for chronic disease prevention. Health Research Policy and Systems, 15: 69, DOI 10.1186/s12961-017-0231-7. Trochim, W., Donnelly, J.P., and Arora, K. (2016). Research Methods: The Essential Knowledge Base. Cengage, Boston. Cappelleri, JC, Trochim, W. (2015) Regression Discontinuity Design. In International Encyclopedia of the Social & Behavioral Sciences, Pergamon, Oxford, 2nd edition, Volume 20, pps. 152-159. http://dx.doi.org/10.1016/B978-0-08-097086-8.44049-3. Urban, J., Hargraves, M., Trochim, W. (August 2014) Evolutionary Evaluation: Implications for Evaluators, Researchers, Practitioners, Funders and the Evidence-Based Program Mandate. Evaluation and Program Planning. Vol. 45, pp. 127-139. Casillas, W.D. and Trochim, W. (2014). A Systems Approach to Culturally Responsive Evaluation Practice: Culturally Responsive Uses of the Systems Evaluation Protocol (SEP). in Hood, S., Hopson, R. and Frierson (Eds.) Continuing the Journey to Reposition Culture and Cultural Context in Evaluation Theory and Practice. IAP, Charlotte, NC. Dollahite, J., Pijai, E., Scott-Pierce, M., Parker, C., & W., Trochim. (2014). A Randomized Controlled Trial of a Community-Based Nutrition Education Program for Low-income Parents Journal of Nutrition Education and Behavior. 46, 2, 102-109. Grazier, K., Trochim, W., Dilts, D., & Kirk, R. (2013). Estimating Return on Investment in Translational Research: Methods and Protocols. Evaluation & the Health Professions, 36(4), 478-491. Trochim WM, Rubio DM, Thomas VG and Evaluation Key Function Committee of the CTSA Consortium. (2013). Evaluation Guidelines for the Clinical and Translational Science Awards (CTSAs). Clin Transl Science, 6(4):303-9. Cappelleri, JC, Trochim, W. (2013) Regression Discontinuity Designs. In International Encyclopedia of the Social & Behavioral Sciences. Pergamon, Oxford. Kane, C., Rubio, D., Trochim, W. (2013). Evaluating Translational Research. In Alving, B., Dai, K. and Chan, S. (Eds). Translational Medicine – What, Why and How: An International Perspective. Translational Research in Biomedicine, Volume 3, Karger, Basel, 110-119. Trochim, W., Urban, J.B., Hargraves, M., Hebbard, C., Buckley, J., Archibald, T., Johnson, M., & Burgermaster, M. (2012). The Guide to the Systems Evaluation Protocol. Ithaca, NY: Cornell Digital Print Services. Rubio, D., Sufian, M., Trochim, W. (2012). Strategies for a National Evaluation of the Clinical and Translational Science Award, Clinical and Translational Sciences, 5, 2, 138-9. Dilts, D.M., Rosenblum, D., Trochim, W. (2012). A virtual national laboratory for reengineering clinical translational science. Science Translational Medicine, 4, 118cm2. Kagan JM, Rosas SR, Siskind RL, Campbell RD, Gondwe D, Munroe D, Trochim WM, Schouten JT. (2012). Community-researcher partnerships at NIAID HIV/AIDS clinical trials sites: insights for evaluation and enhancement. Prog Community Health Partnersh. Fall;6(3):311-20. Trochim, W., Kane, C., Graham, M., and Pincus, H. (2011). Evaluating Translational Research: A Process Marker Model. Clinical and Translational Sciences 4, 153-162. Falk-Krzesinski, H.J., Contractor, N., Fiore, S.M., Hall, K.L., Kane, C., Keyton, J., Klein, J., Spring, B., Stokols, D., and Trochim, W. (2011). Mapping a Research Agenda for the Science of Team Science. Research Evaluation 20, 143-156. Behfar, K. J., Mannix, E. A., Peterson, R. S., & Trochim, W. M. (2011). Conflict in Small Groups: The Meaning and Consequences of Process Conflict. Small Group Research, 42(2), 127-176. Rosas, S.R., Kagan, J.M., Schouten, J.T., Slack, P.A., and Trochim, W.M. (2011). Evaluating Research and Impact: A Bibliometric Analysis of Research by the NIH/NIAID HIV/AIDS Clinical Trial Networks. PLoS ONE 6, e17428. doi:17410.11371/journal.pone.0017428. Börner, K., Contractor, N., Falk-Krzesinski, H.J., Fiore, S.M., Hall, K.L., Keyton, J., Spring, B., Stokols, D., Trochim, W., and Uzzi, B. (2010). A Multi-Level Systems Perspective for the Science of Team Science. Science Translational Medicine 2, cm24. Falk-Krzesinski, H.J., Börner, K., Contractor, N., Fiore, S.M., Hall, K.L., Keyton, J., Spring, B., Stokols, D., Trochim, W., and Uzzi, B. (2010). Advancing the Science of Team Science. Clinical and Translational Sciences 3, 263-266. Kagan, J. M., Rosas, S. R., & Trochim, W. (2010). Integrating utilization-focused evaluation with business process modeling for clinical research improvement. Research Evaluation, , 19(4), 239–250. Cappelleri, JC, Trochim WMK, (2010), “Cutoff Designs.” In: Chow S-C (editor), Encyclopedia of Biopharmaceutical Statistics: 3rd Edition, Revised and Expanded. New York, NY: Informa Healthcare; 2010: 386-391. Urban, J. B., & Trochim, W. (2009). The Role of Evaluation in Research-Practice Integration: Working Toward the ‘‘Golden Spike’’. American Journal of Evaluation, 30(4), 538-553. Trochim, W. M., Mark, M. M., & Cooksy, L. J. (Eds.). (2009). Evaluation Policy and Evaluation Practice. Hoboken, NJ: Jossey -Bass. Mark, M. M., Cooksy, L. J., & Trochim, W. M. (2009). Evaluation Policy: An Introduction and Overview. New Directions for Evaluation, 123, 3-12. Cooksy, L. J., Mark, M. M., & Trochim, W. M. (2009). Evaluation Policy and Evaluation Practice: Where Do We Go From Here? New Directions for Evaluation, 123, 103-110. Kagan JM, Kane M, Quinlan KM, Rosas S, Trochim WM. (2009). Developing a conceptual framework for an evaluation system for the NIAID HIV/AIDS clinical trials networks. Health Research Policy and Systems, 7:12. Stillman F, Hoang M, Linton R, Ritthiphakdee B, Trochim W.(2008) Mapping tobacco industry strategies in South East Asia for action planning and surveillance. Tob Control. Feb;17(1):e1. Quinlan, K. M., Kane, M., & Trochim, W. (2008). Evaluation of large research initiatives: Outcomes, challenges, and methodological considerations. New Directions for Evaluation, 118, 61-72. Leischow, S. J., Best, A., Trochim, W. M., Clark, P. I., Gallagher, R. S., Marcus, S. E., Matthews, E. (2008). Systems Thinking to Improve the Public's Health. American Journal of Preventive Medicine, 35(2, Supplement 1), S196-S203. Mâsse, L. C., Moser, R. P., Stokols, D., Taylor, B. K., Marcus, S. E., Morgan, G. D., Hall, K.L., Croyle, R.T., Trochim, W. (2008). Measuring Collaboration and Transdisciplinary Integration in Team Science. American Journal of Preventive Medicine, 35(2, Supplement 1), S151-S160. Best, A., Trochim, W., Haggerty, J., Moor, G., & Norman, C. (2008). Systems Thinking for Knowledge Integration: New Models for Policy-Research Collaboration. In L. McKee, E. Ferlie & P. Hyde (Eds. ), Organizing and Reorganizing: Power and Change in Health Care Organizations (pp. 154-166). New York, NY: Palgrave Macmillan. Trochim. W., Marcus, S.E., Mâsse, L.C., Moser, R.P., Weld, P. (2008). The Evaluation of Large Research Initiatives: A Participatory Integrative Mixed-Methods Approach, American Journal of Evaluation, 29, 1, 8-28. Behfar, K., Peterson, R.S., Mannix, E.A. and Trochim, W. (2008). The Critical Role of Conflict Resolution in Teams: A Close Look at the Links Between Conflict Type, Conflict Management Strategies, and Team Outcomes. Journal of Applied Psychology, 93, 1, 170–188. Robinson, J. M and Trochim, W. (2007). An Examination of Community Members’, Researchers’ and Health Professionals’ Perceptions of Barriers to Minority Participation in Medical Research: An Application of Concept Mapping, Ethnicity and Health, 12, 5, 521-539. Trochim, W. and Donnelly, J.P. (2007). The Research Methods Knowledge Base. 3rd edition. Thomson Publishing, Mason, OH. Kane, M., & Trochim, W. (2007). Concept mapping for planning and evaluation. Thousand Oaks, CA: Sage Publications. Best, A., Clark, P.I., Leischow, S.J. and Trochim, W. (Eds). (2007). Greater than the sum: Systems thinking in tobacco control. Tobacco Control Monograph no. 18, Bethesda, MD., U.S. Department of Health and Human Services, National Institutes of Health, National Cancer Institute, NIH Pub. No. 06-6085. Bammer, G., Cabrera, D. and Trochim, W. (2007). Systems thinking: Potential to transform tobacco control. In National Cancer Institute (2007), Greater than the sum: Systems thinking in tobacco control. Tobacco Control Monograph no. 18, Bethesda, MD., U.S. Department of Health and Human Services, National Institutes of Health, National Cancer Institute, NIH Pub. No. 06-6085. pps. 37-60. Cabrera, D. and Trochim, W. (2007). How to organize: Systems Organizing. In National Cancer Institute (2007), Greater than the sum: Systems thinking in tobacco control. Tobacco Control Monograph no. 18, Bethesda, MD., U.S. Department of Health and Human Services, National Institutes of Health, National Cancer Institute, NIH Pub. No. 06-6085. pps. 61-108. Director of Evaluation of the NIH Weill Cornell Medicine's Clinical and Translational Science Center. Cornell Office for Research on Evaluation: Our website (http://core.human.cornell.edu) provides a range of general resources and links useful for evaluation work in general, and situates the Evaluation Partnership work with CCE within the larger body of research on a systems approach to evaluation that we are engaged in. Our annual presentations at the American Evaluation Association meetings, along with other research information are linked here. Social Research Methods: http://socialresearchmethods.net/ One of the leading research methods websites on the Internet, this site provides the entire text of the original Research Methods Knowledge Base, a leading text for undergraduate and graduate research methods courses worldwide.